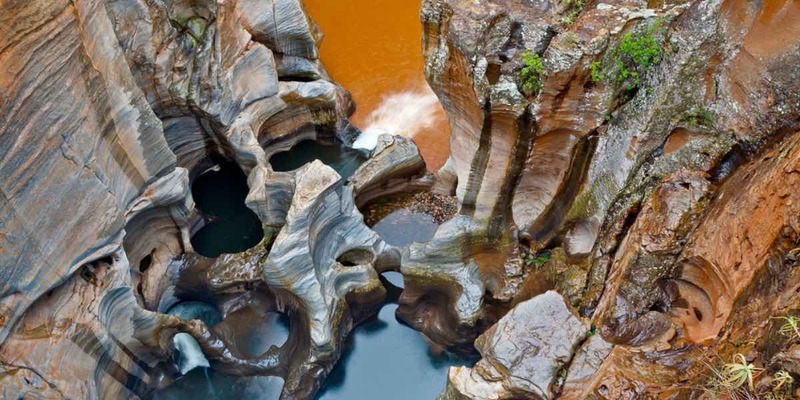 Millennia of violently churning waters at the confluence of the Blyde and Treur Rivers have carved giant holes, known as “Giant’s Kettles” out of the sandstone banks, leaving the smooth and beautifully coloured Bourke’s Luck Potholes. The potholes are named after a man named Tom Bourke, who discovered signs of gold in the canyon in the 1880s but misjudged the region. Just further south of where he had first panned for gold, is where many men later “struck gold” and enjoyed the riches of the land. Sadly, Tom Bourke never found gold. The rivers flow more gently these days, allowing visitors to view this fantastic natural feature in all its glory. 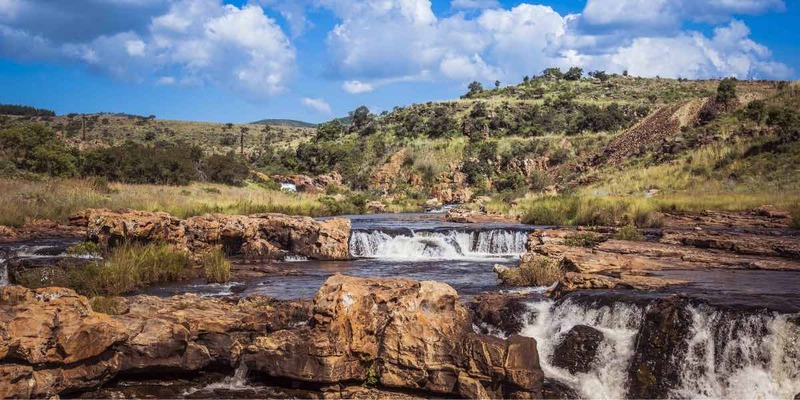 Intertwined walkways and bridges offer multiple viewpoints, and a small Visitors Centre supplies various displays on the plant-life and animals of the area, along with a scaled model of the Blyde River Canyon.